Based in Charlwood near Gatwick Airport, Roband Electronics is an independent British company specialising in the design, development, manufacture and support of electronic power supplies. In 2016, Roband celebrated its 60th anniversary. Eshcon helped Roband achieve ISO 14001:2015 certification, with a Gap Analysis of its EMS and then updating the system to transition to the new standard. Roband has a history of good environmental practice and decided to formalise this into an Environmental Management System (EMS).  ESHCon has worked with Roband for a number of years, initially to develop & implement the EMS and their first certification to ISO 14001. As the EMS has progressed, Eshcon has lead internal audits, attended certification audits and provided support to the environment team, where knowledge or experience needed a boost. In 2016 Roband decided to transition the EMS to ISO 14001:2015 in time for the scheduled recertification audit. Work started with a Gap Analysis to identify where the EMS needed to change. This gave a RAG-rating for each issue and a transition plan, with actions & timescales. Eshcon then worked with the environment team on the transition work, starting with workshops covering context, risks, opportunities, interested parties & lifecycle. Exercises engaged staff from across the company, so increasing understanding, involvement & ownership of the EMS. There was ongoing liaison with top management, thus considering the company’s strategic direction. Further consideration was made to objectives & new targets (with associated data requirements), communicating with interested parties and evaluation of compliance. A large part of the transition work was to amend the system itself, including updating the EMS core documentation, including policy, manual, aspects & compliance registers, plus key procedures. There was also an opportunity to streamline these documents, to make them more user-friendly. Eshcon continued to be part of the internal audit team, particularly covering EMS operations, compliance etc, and also contributed to the certification audit – this proved particularly important, covering for two recently departed critical members of staff. Successful recertification to ISO 14001.